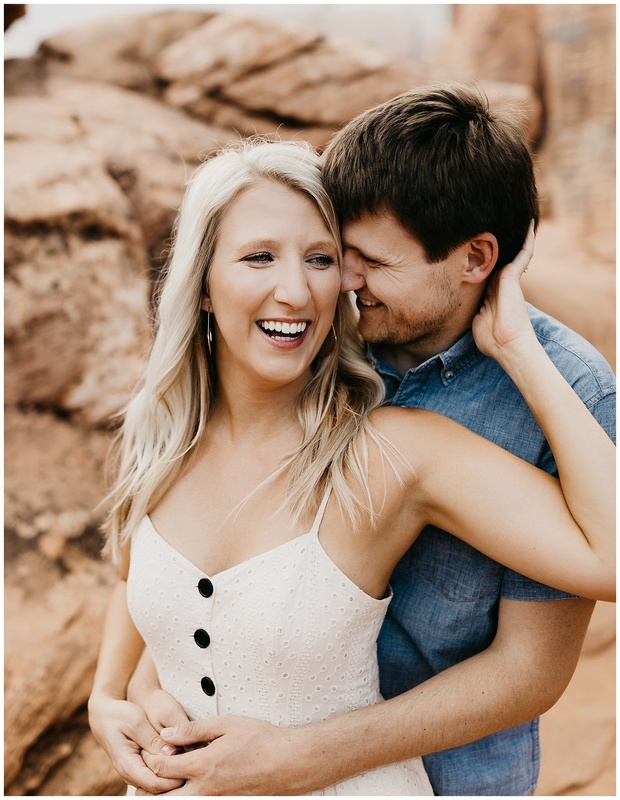 Megan and Andrew are those types of people that you meet and instantly feel like you’ve known them together! 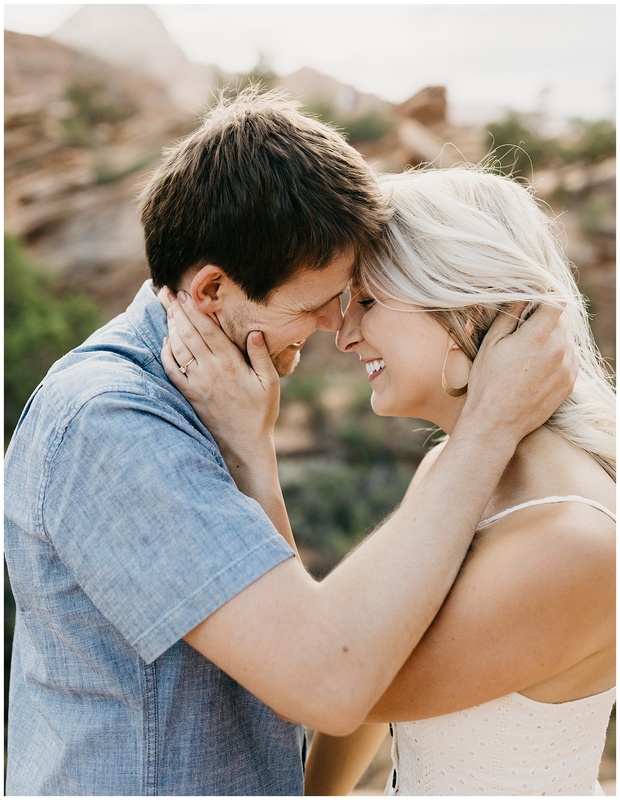 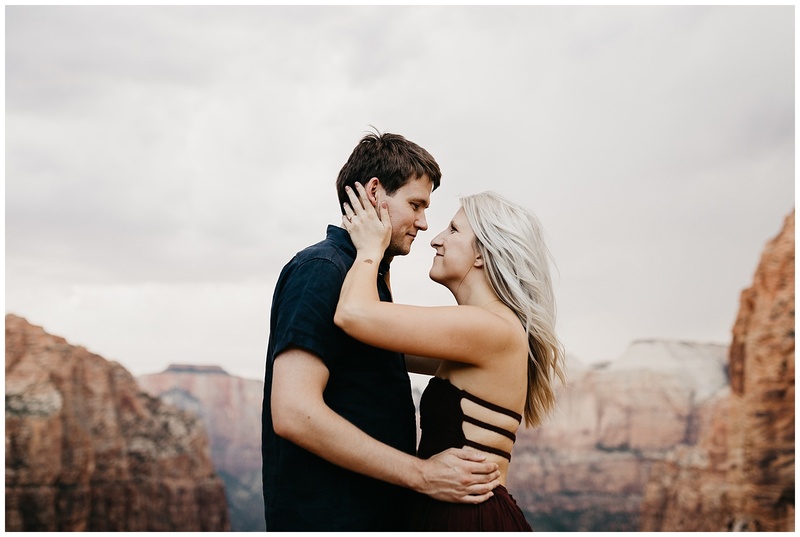 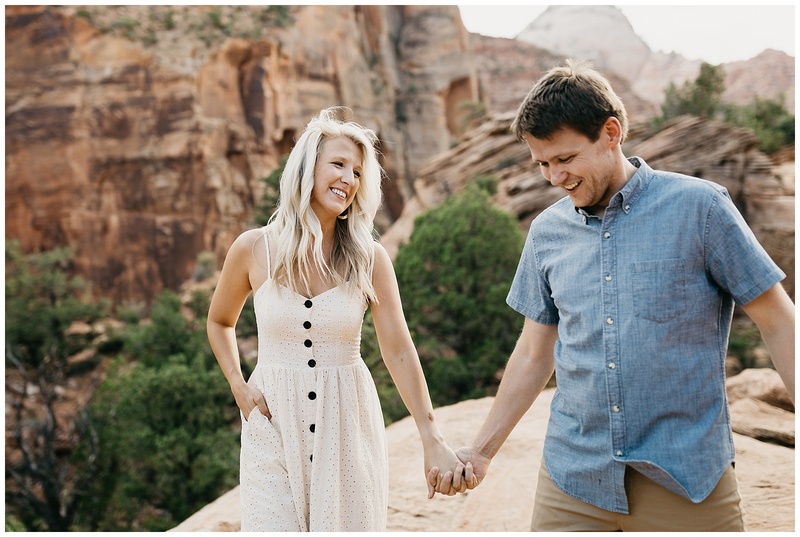 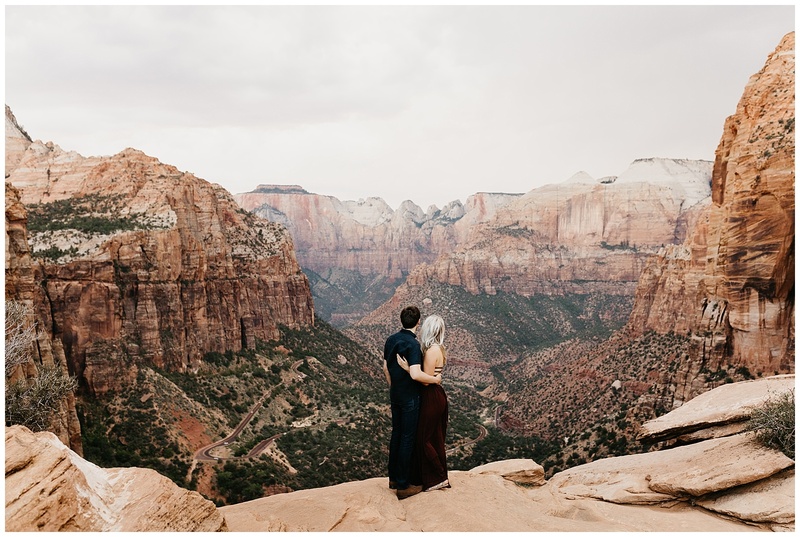 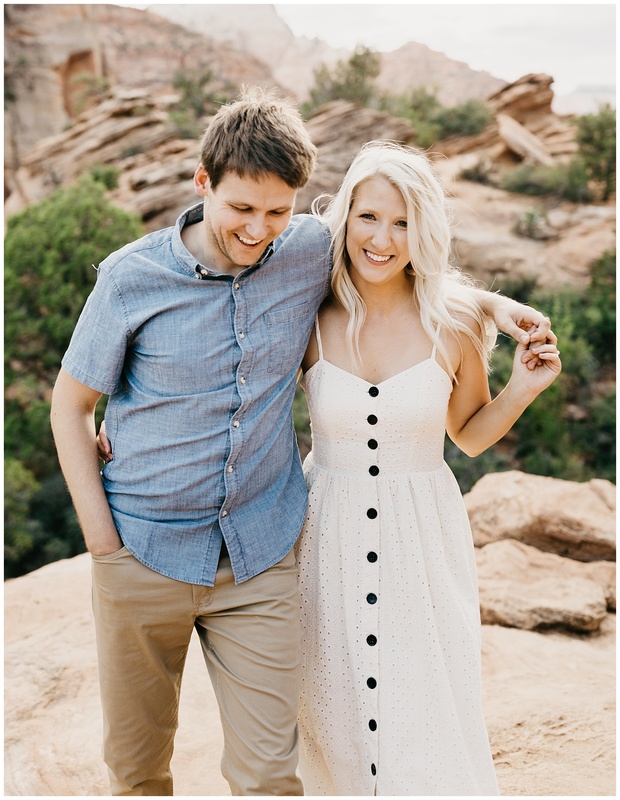 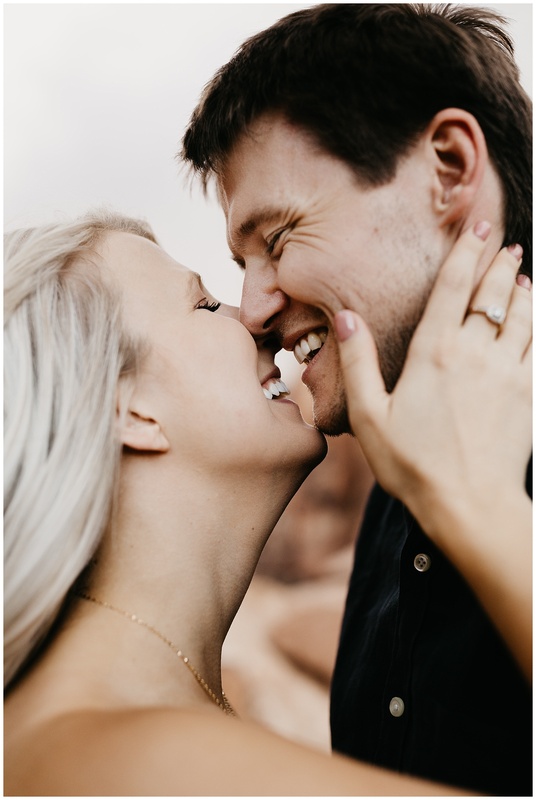 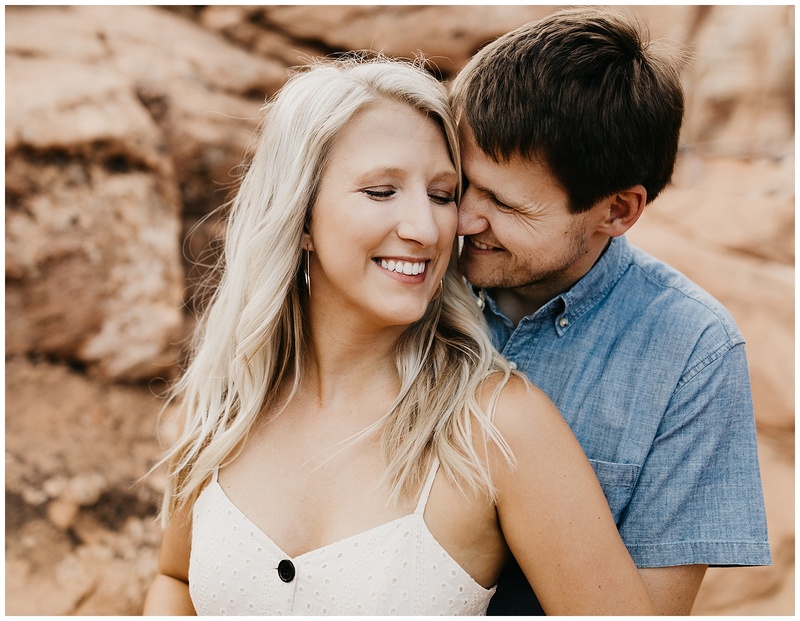 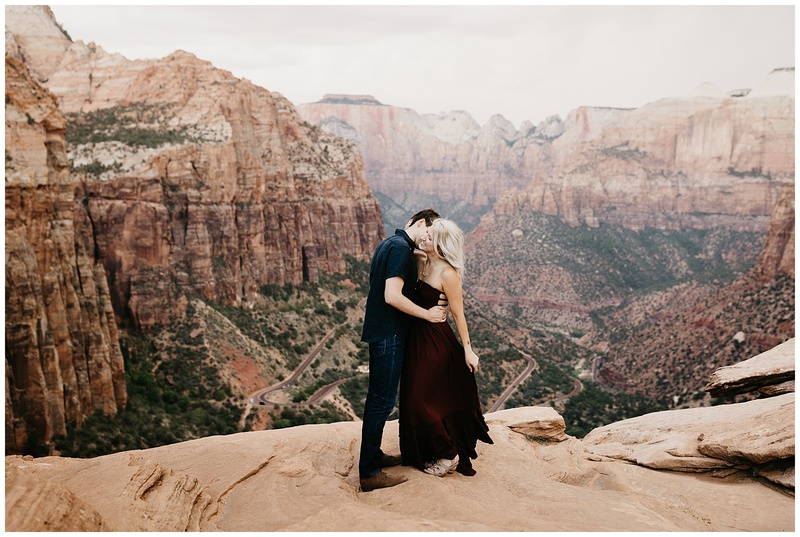 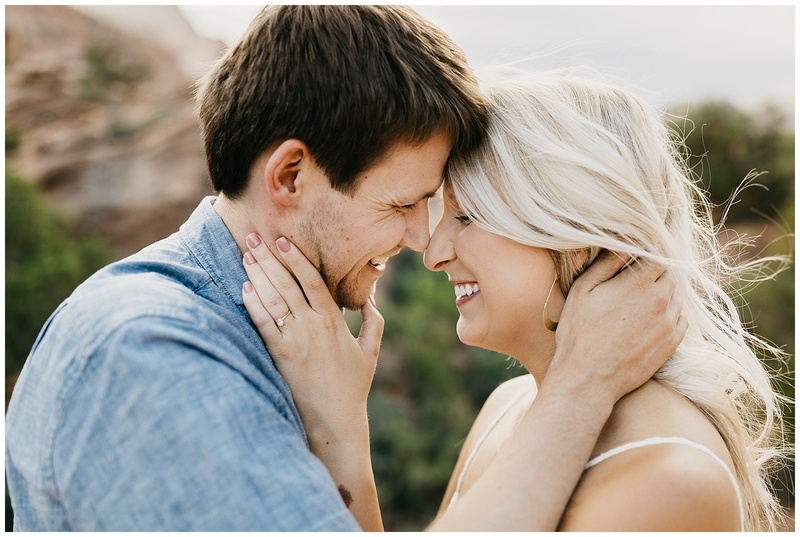 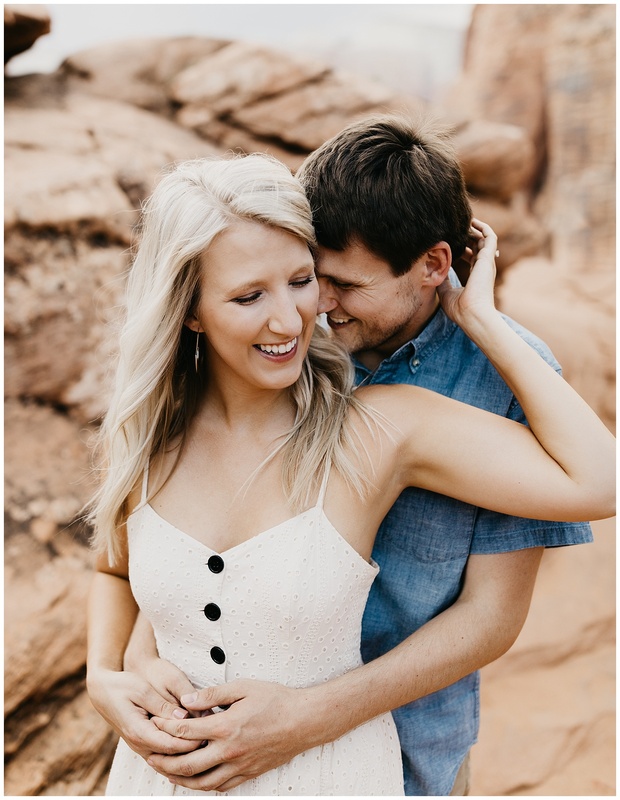 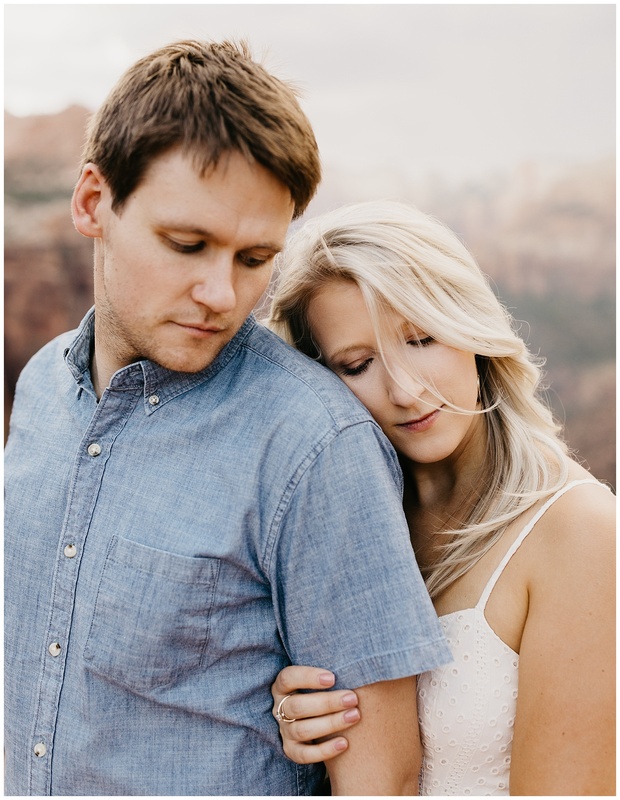 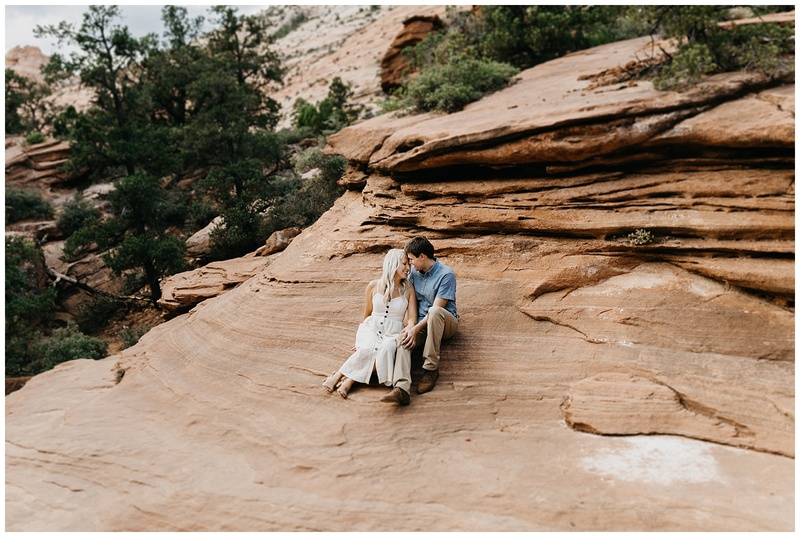 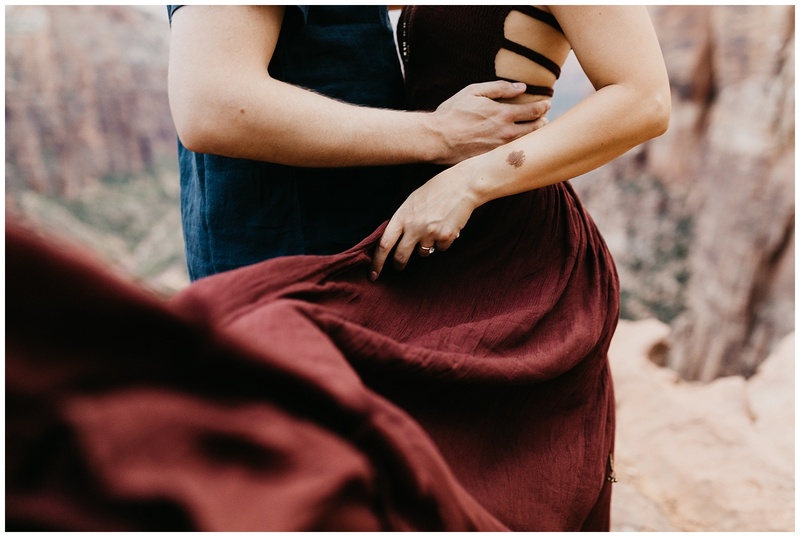 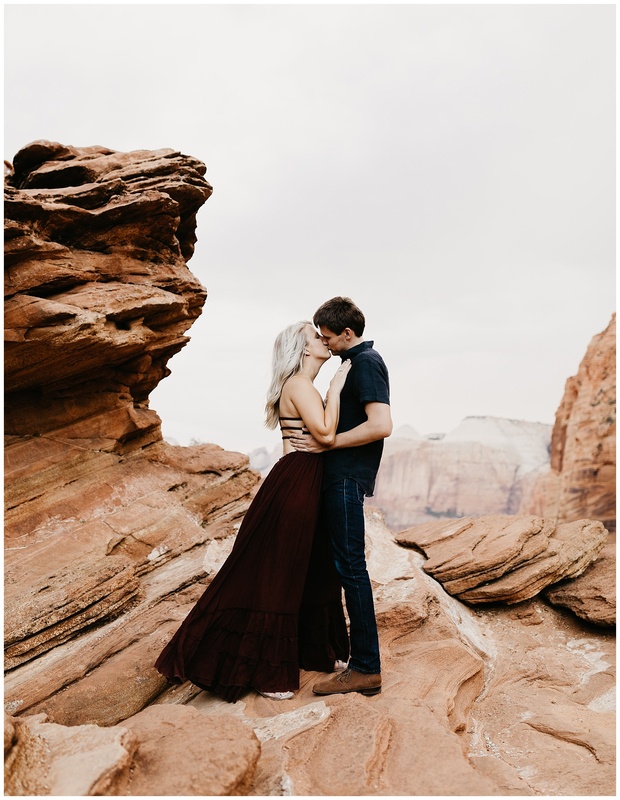 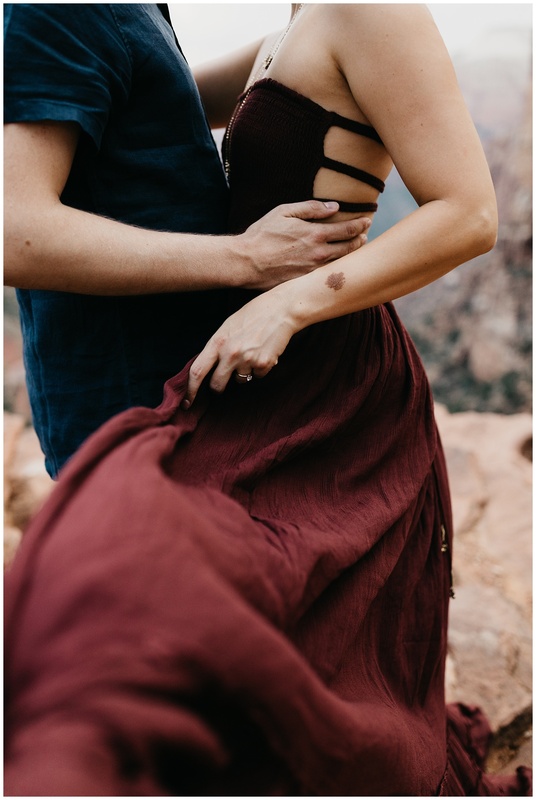 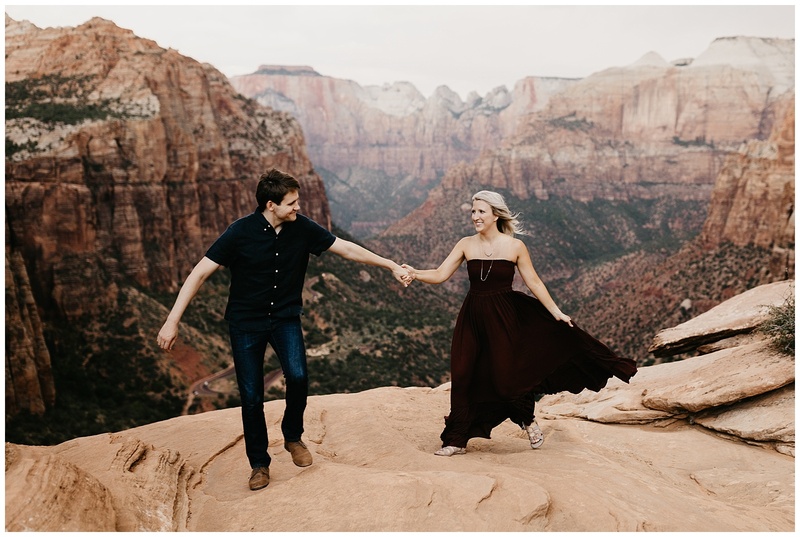 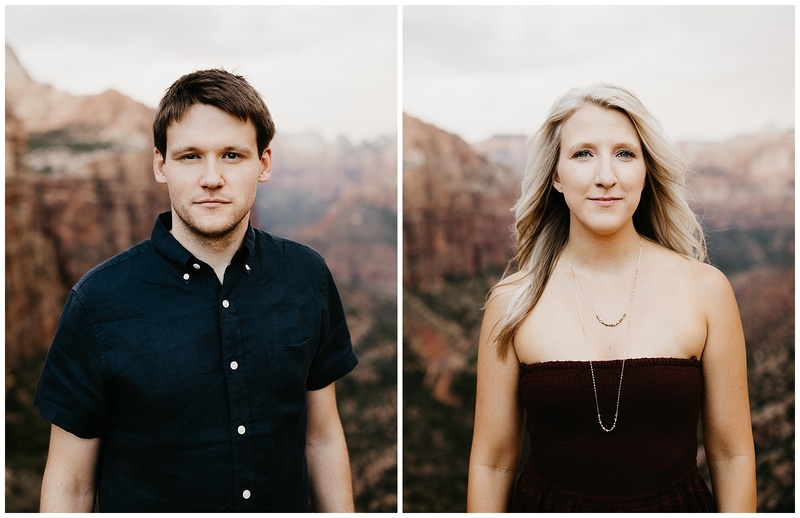 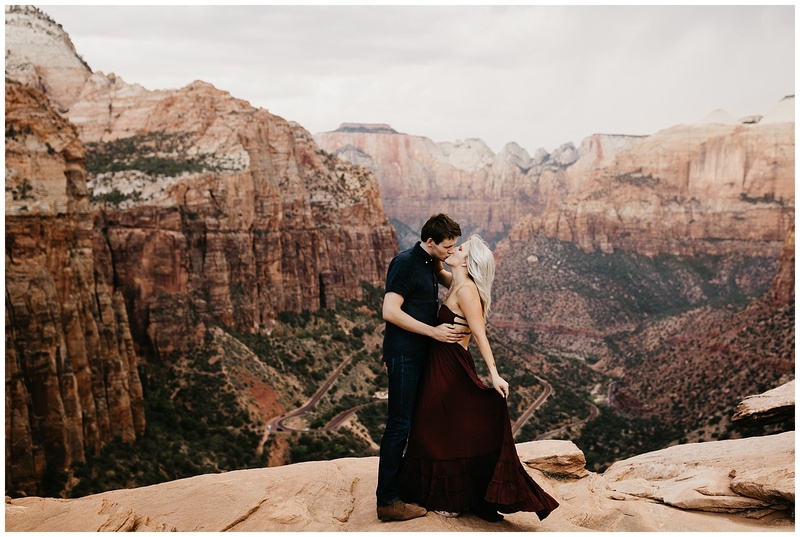 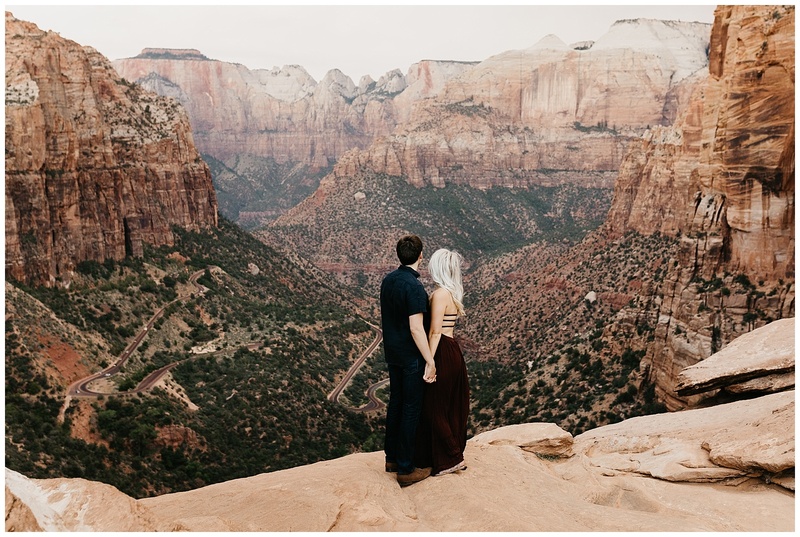 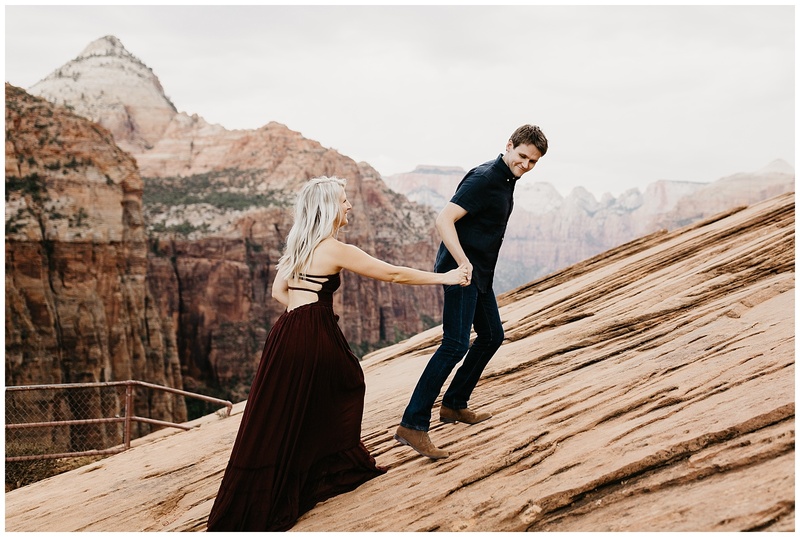 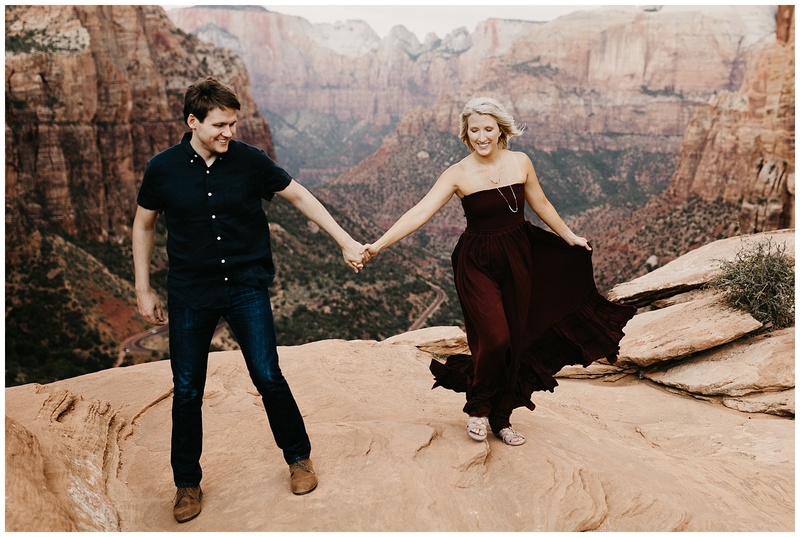 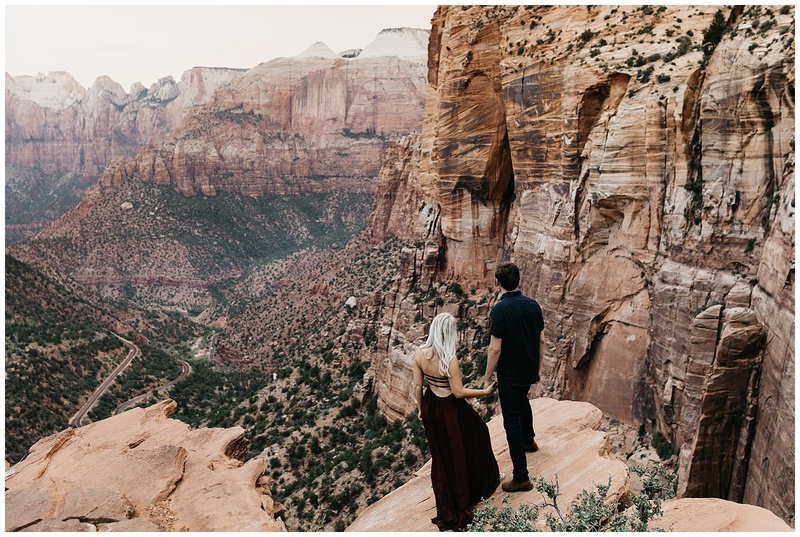 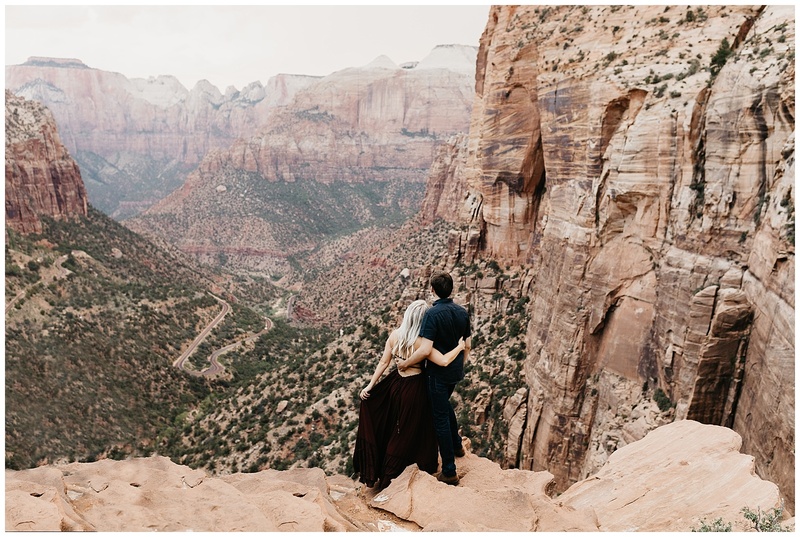 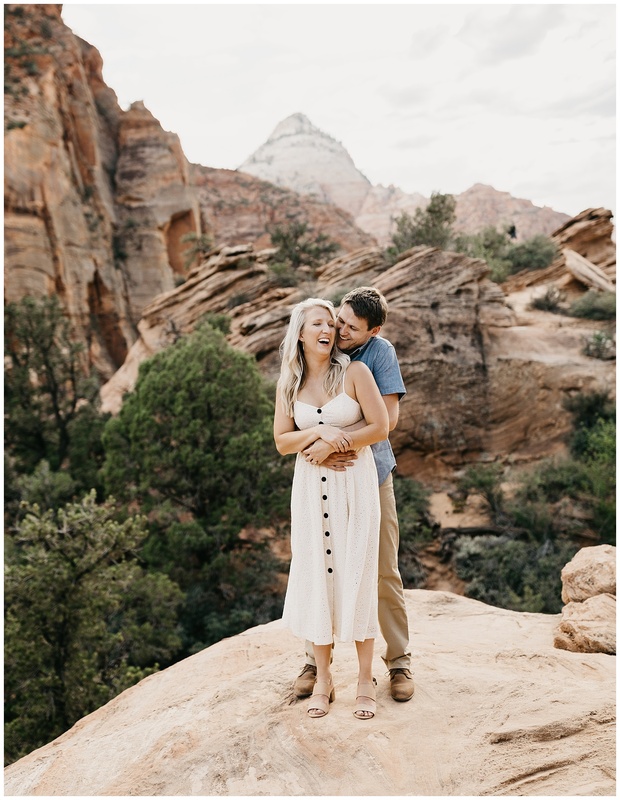 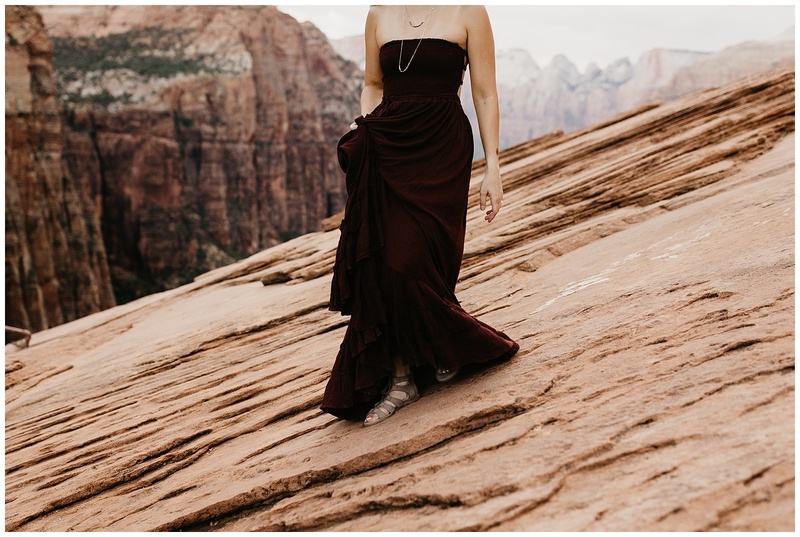 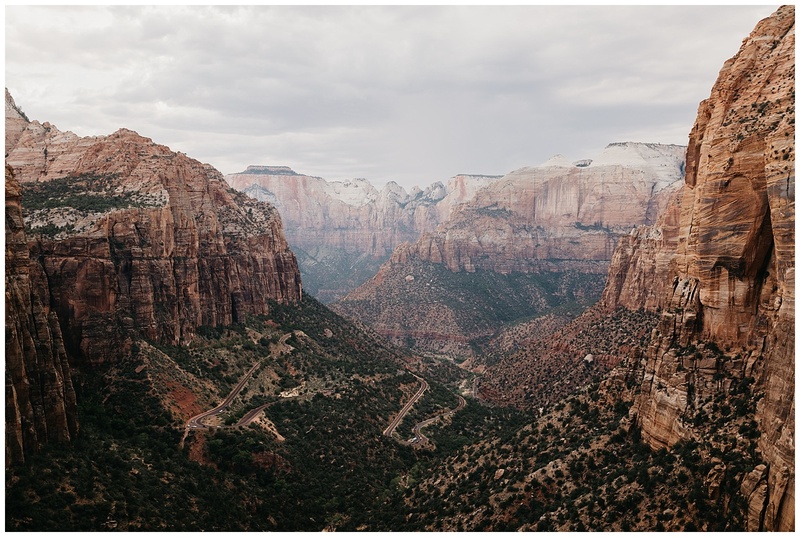 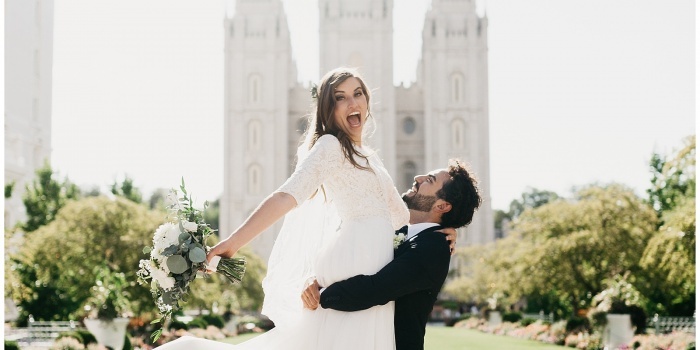 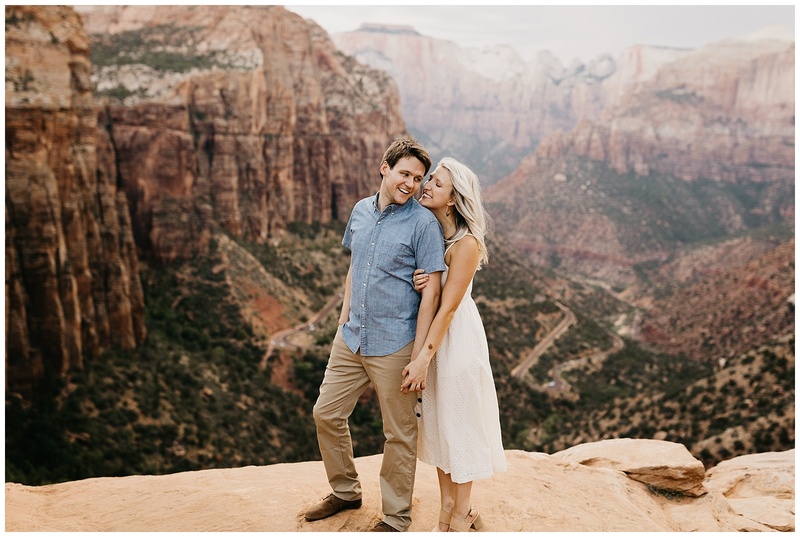 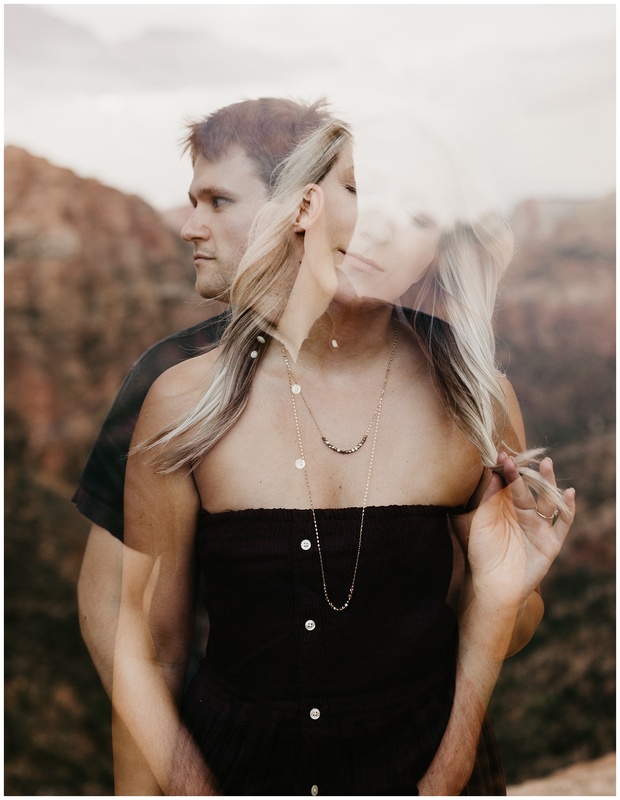 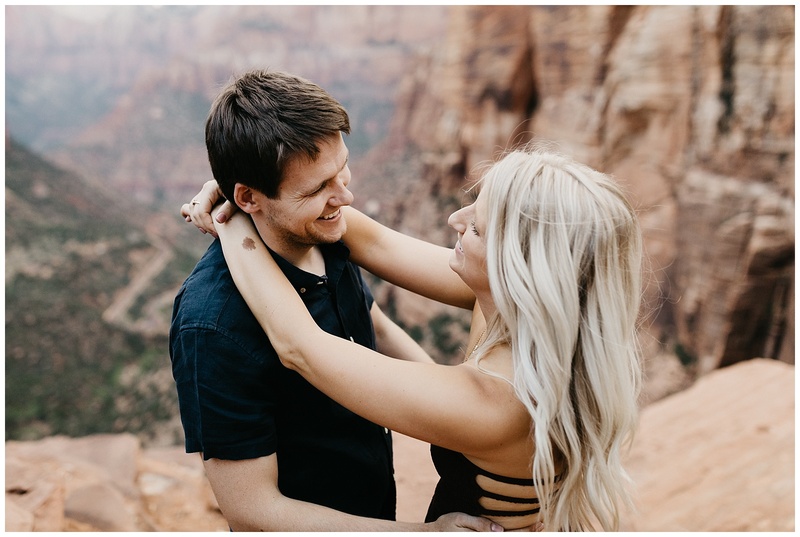 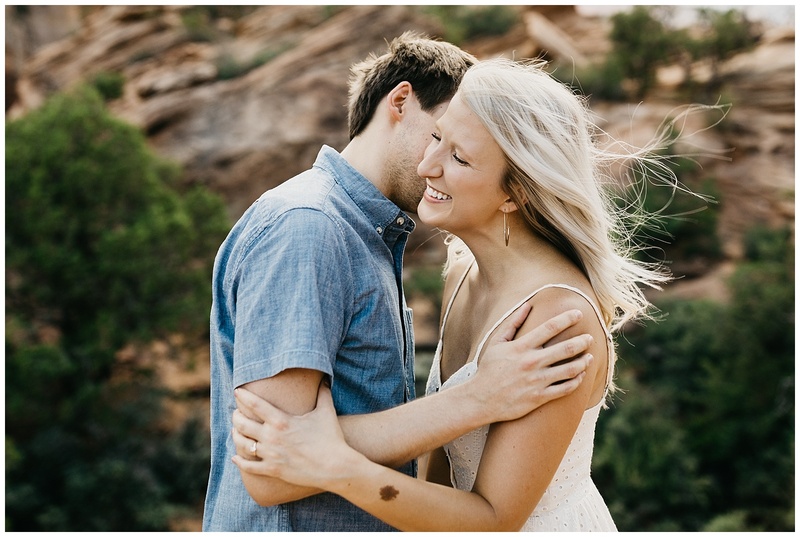 Originally from Kansas City, one of their first trips together was a vacation out to Zion National Park and it became such a special place to them that they decided to fly out to Utah to take their engagements in the park as well! 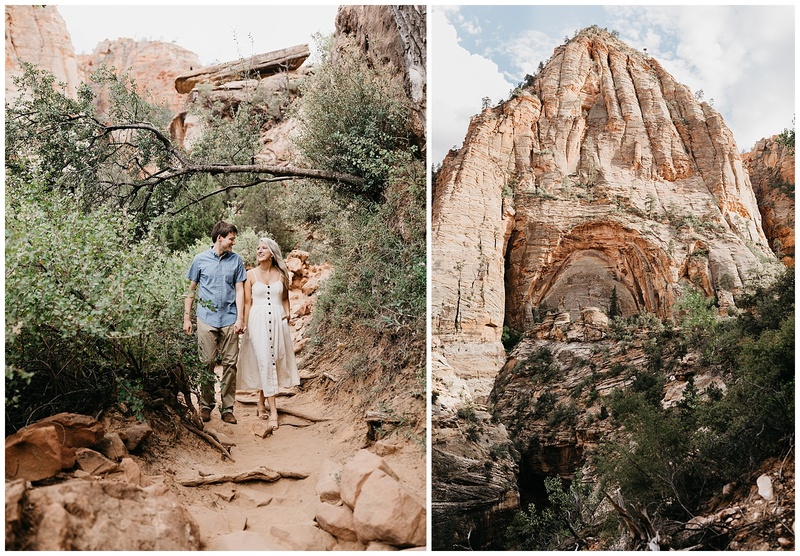 We hiked around in the 117° heat (luckily they were the most prepared ever and came equipped with battery powered fans and waterbottles galore), exploring the park and chatting about the things we have in common while admiring the insanely perfect views Zion has to offer. 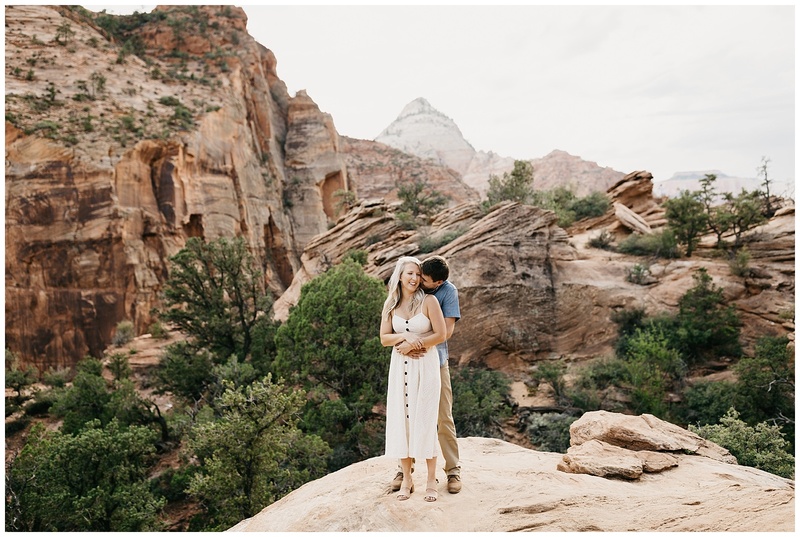 Afterwards we rewarded ourselves for hiking through the heat with the world’s greatest pizza and pasta dinner (or so it seemed at the time haha). 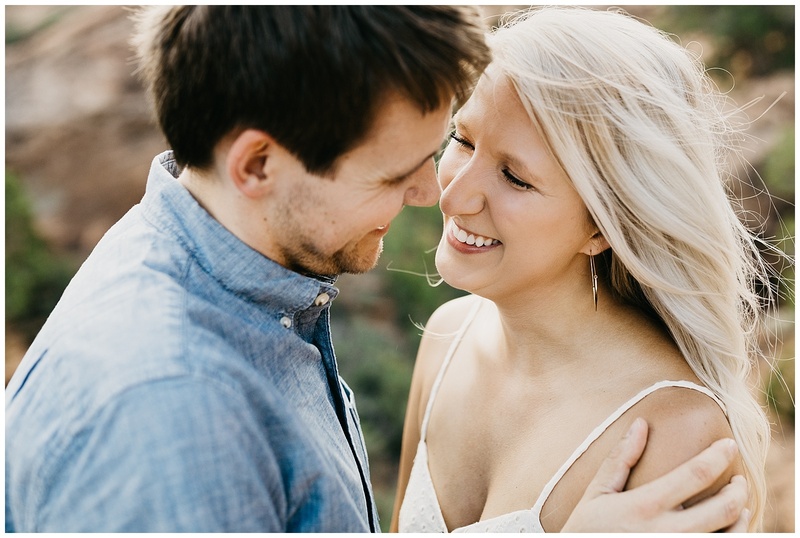 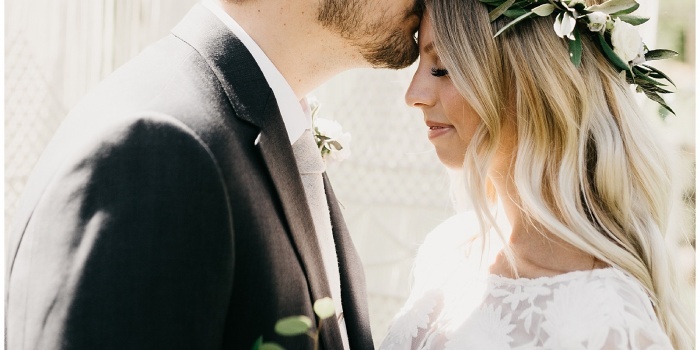 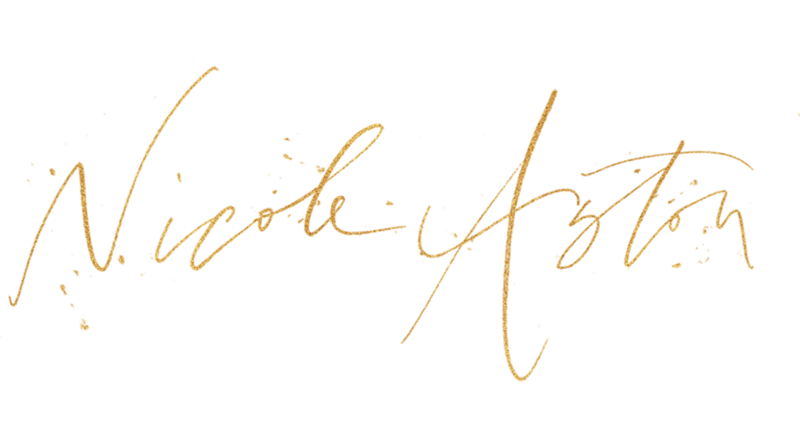 Megan and Andrew are tying the knot today at the most stunning venue in Georgia and I already can’t wait to share their perfect day! 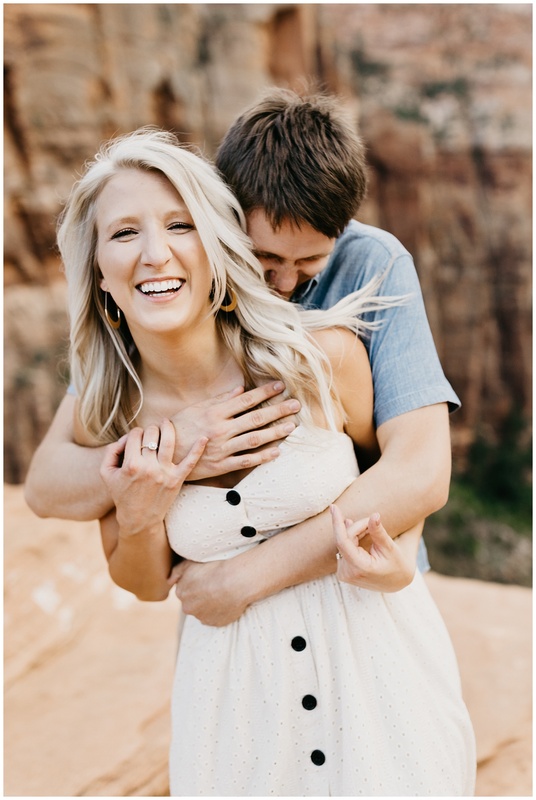 Congrats you two, and enjoy!